Tanner De Witt is thrilled to be a winner in the 2015 China Business Law Awards for its restructuring and insolvency practice. 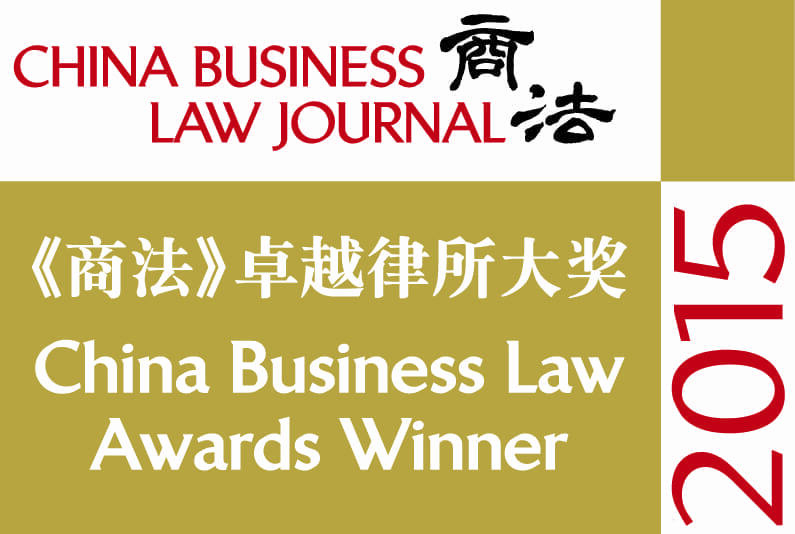 The China Business Law Awards are presented by the China Business Law Journal and will be published in a special report in the February 2016 issue of China Business Law Journal. Vantage Asia Publishing Limited is an independent publisher based in Hong Kong that publishes the China Business Law Journal ten times a year in both English and Chinese. The editorial team is comprised of China focused professionals with more than 40 years combined experience in working for top tier media organisations. Ian De Witt is the co-head of Tanner De Witt’s Insolvency and Debt Recovery practice. Ian focuses on commercial litigation and insolvency matters which include debt recovery, asset tracing and the enforcement of judgments, pre-emptive actions such as injunctions, court appointed receivers, and the appointment of provisional liquidators. Ian has extensive experience acting and advising on a wide range of insolvency cases, on the behalf of liquidators, receivers, creditors and directors. Robin Darton, also a partner in Insolvency and Restructuring, has a broad range of practice in litigation and other contentious issues and focuses heavily on contentious insolvency and banking matters. Past experiences include acting in winding-up proceedings, appointments of provisional liquidators, claims against directors, claims against auditors, fraud and asset tracing, and the court related aspects of creditors’ schemes of arrangement.